Ice skating is a fun activity the whole family can enjoy. Our facility has a wide range of rental skates to fit almost any sized foot - from toddlers to adults (size 13 available). Please check the calendar for time changes or cancellations. Discounts are available for larger parties at the door. Thanksgiving, Christmas Day, New Year's Day, Easter Sunday, and early closing on July 4th. Prices are good for one public skate session. Please note we do not allow walkers on the ice at any public session. We recommend bringing a helmet (especially for youth) to wear. Don't Forget About School's Out Skates!!! 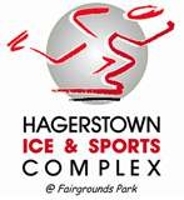 We have special Public skating sessions on weekdays where Washington county students (WCPS) are scheduled to have a day off. Contact the main office if you have any questions about these special events.